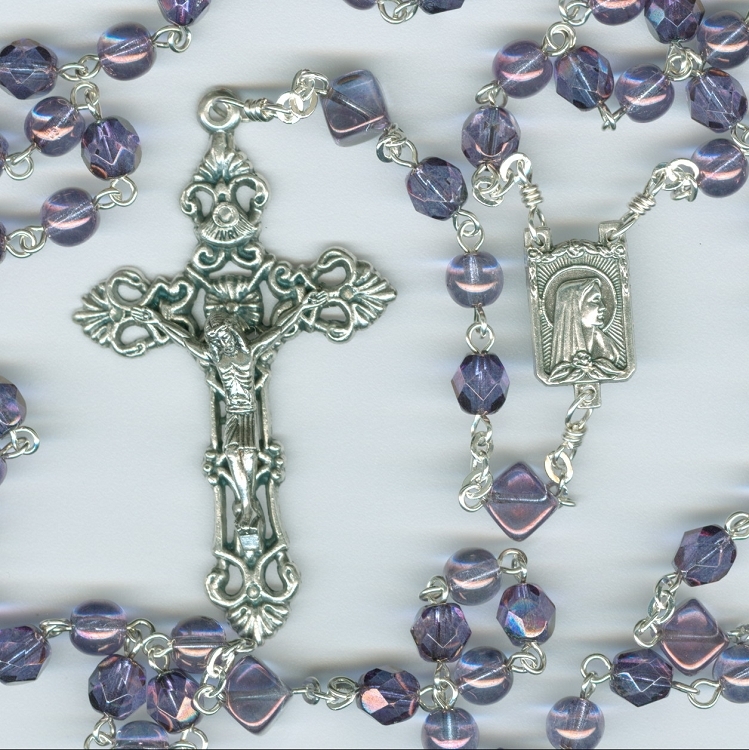 This is my Czech glass February Birthstone rosary. 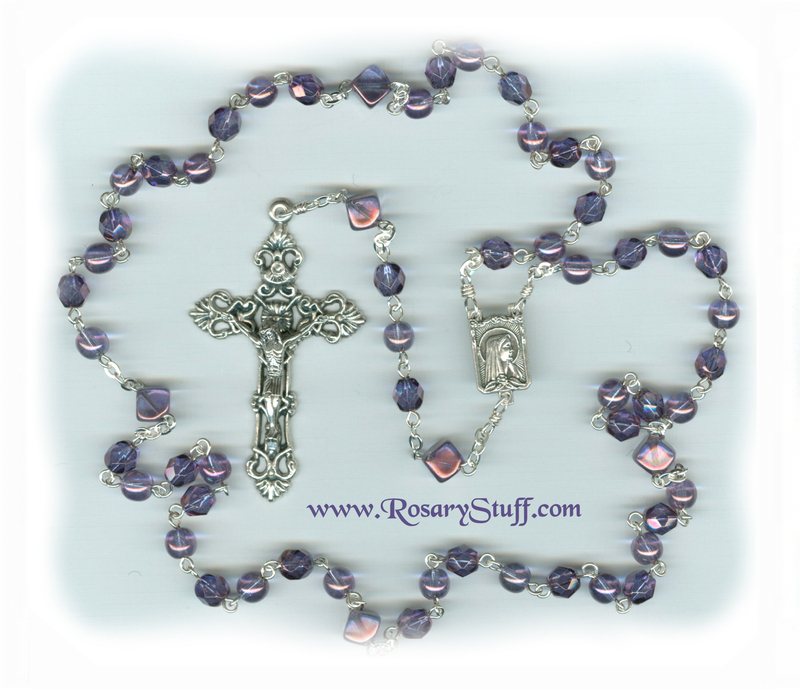 Although this rosary is made using Czech glass, the traditional birthstone for February is Amethyst. This fantastic, purple semi-precious stone can vary in color (naturally) from a light earthy lavender to a rich, deep, dark, purple.